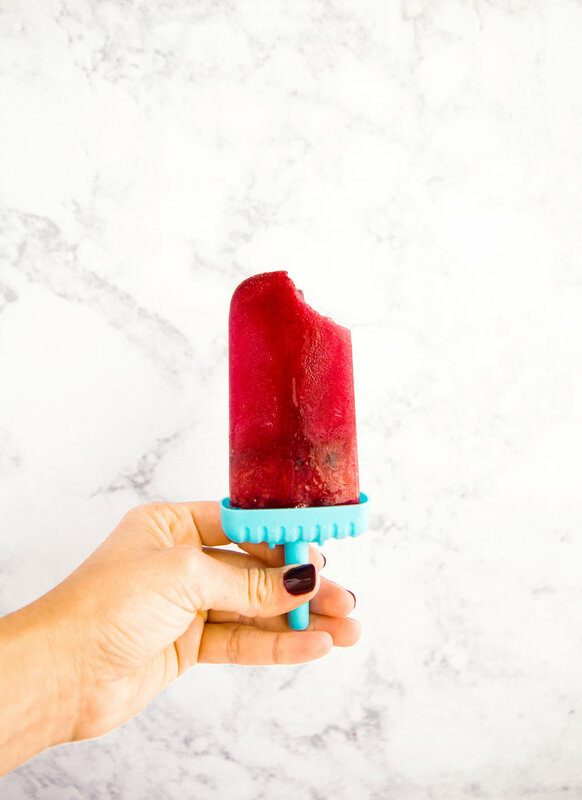 What’s better than a sugar free, naturally sweet popsicle on a hot summer's day? One made with Health-Ade!! !I love love love homemade popsicles, and have the fondest summer memories of making them with my mom! Our go to as kids was an orange juice and pomegranate mixture and dang were they amazing! I was feeling nostalgic this month and needed to remake my favorite summer healthy popsicle but also wanted to add in some tea for an extra exciting flavor! Without thinking I tossed in some Health-Ade pomegranate kombucha that I was drinking, blended it up and froze them. The next day, I grabbed a pop and was blown away by the delicious tang the kombucha added to our old time recipe! So ladies and gents… the recipe of the summer is here for you! Created, many times taste tested and currently eating as I’m writing this for you! Shall we build these pops?! To me July is all about family, celebrating America and drinking in every last drop of those warm bright summer nights! Sitting out on the front porch listening to the birds chirping and the breeze singing through the trees pulling me into a summer daze. Add to that a healthy kombucha popsicle, endless chatter from my family and a few puppy snores and I am sure that is what bliss is. When it comes to life, I preach balance! Balance is the key to living a happy and sustainable life, but for this particular recipe, you don’t have to add sugar, sweetener or anything! 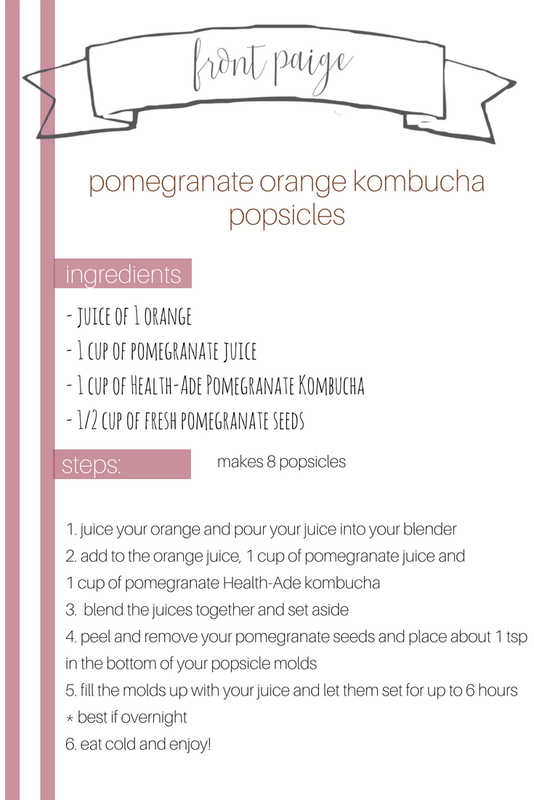 The tang of the pomegranate mixes effortlessly with the sweet orange flavor and the kombucha adds a slight bubbly taste to the pops! Talk about delicious! Freeze up a big batch of these popsicles and enjoy them everyday with friends and family. Really soak in what summer means to you! Get out there and be happy, be bubbly and live inspired! sign up and recieve updates on recipes!